Moisturizing lipsticks are perfect for women of any age and, although they don’t come in as many colors as some of their sister brands, there are plenty to choose from in the marketplace. Color stay lipsticks are meant to provide the long-lasting qualities of lip stains without some of the negatives; the most obvious being the fact that they severely chap and dry out the lips. Sheer lipsticks contain less pigment than standard lipsticks but more than lip balms, making them the perfect choice for women who prefer a softer, lighter look but still want to add a bit of color. Because they aren’t overt with color, they are perfect for daytime or for nighttime casual dress. Shimmery lipsticks often look metallic, pearlescent, opalescent, or glittery in nature. Women over the age of 40 shouldn’t wear them except as an accent in the center of the lips for the most perfect “pouty” look. They are also more suitable for nighttime than they are for daywear. 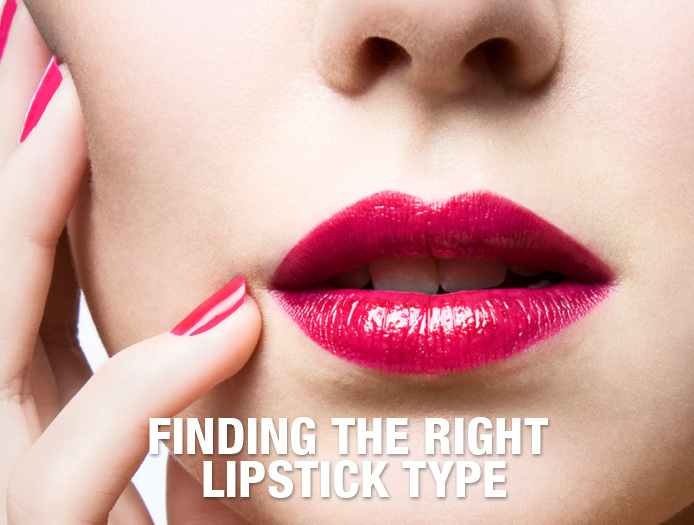 Matte lipsticks often contain few, if any, emollients since they would add at least a small amount of sheen or shine. They usually carry heavy pigmentation that adds a lot of color to the lips. However, the matte finish can often look caked on and too artificial without an overcoat of lip balm or gloss.